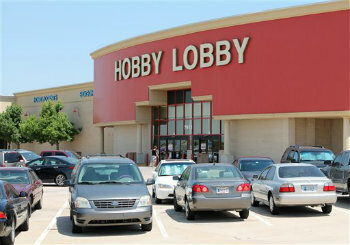 The Hobby Lobby case focuses on the First Amendments separate guarantee of free exercise of religion, along with a 1993 federal religious-rights law. March 20 (Bloomberg) — Hobby Lobby Stores Inc.’s 600 U.S. craft shops close each Sunday, posting a notice that employees are spending the day with their families and at worship. It’s a visible sign that the company is as focused on honoring God as it is on making money.